Manchester United insisted they will remain patient with Jose Mourinho and dismissed reports the Portuguese would be sacked after Saturday's game with Newcastle. Stories emerged on Friday night that a decision had already been taken to remove Mourinho, but Sky Sports News has been told this was "nonsense". Sky Sports News has learned Mourinho's agent Jorge Mendes met with United officials in London on Friday. However, it is understood United's executive vice-chairman Ed Woodward was not at the meeting and the discussions centred around David de Gea's contract with the manager's future not on the agenda. United headed to Old Trafford for Saturday's evening game against Rafa Benitez's Magpies without a win in four matches and it started miserably for the hosts when they conceded two goals in the opening nine minutes. The boos rang out at half-time with United looking set for a fourth Premier League defeat this season and the pressure mounting even more on their manager. But Juan Mata and Anthony Martial got United level and Alexis Sanchez headed in a 90th-minute winner to give a much-needed boost to the home support and Mourinho. The 3-2 win lifted them to eighth in the Premier League. 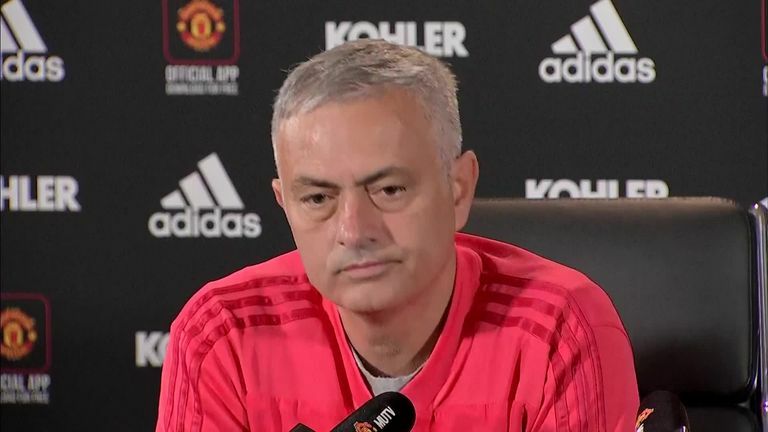 It will have lifted the gloom somewhat on Mourinho who had looked particularly unhappy during his pre-match news conference on Friday when he conceded there were "many different reasons" why United were struggling. 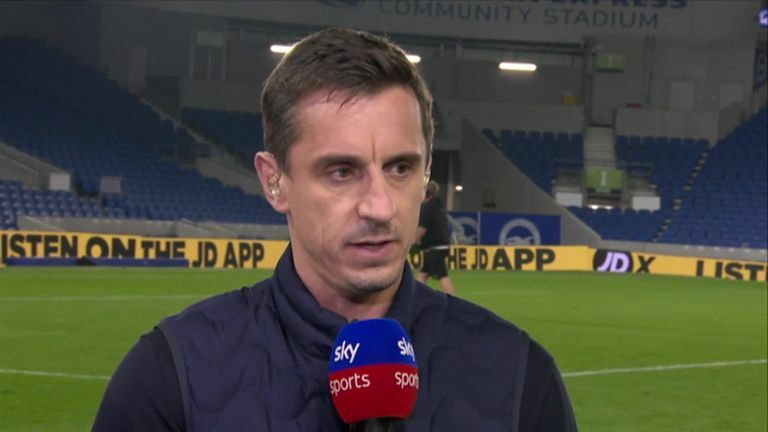 Sky Sports expert Gary Neville gave a furious reaction to reports that Mourinho would be sacked over the weekend. The former United defender told Sky Sports: "Jose Mourinho is one of the best managers in the world and I think at this moment in time any manager in the world would struggle at that football club with the way that recruitment is handled. "Enough is enough for me. I absolutely love that football club, I absolutely love it to death. It's been my life, it's given me everything and I'm not turning on my football club. "But I have to say something has to change and it isn't the manager. It's above that." 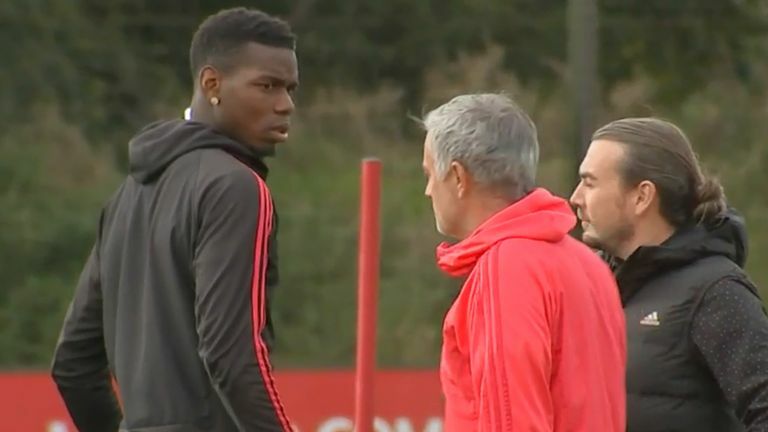 Watch Jose Mourinho and Paul Pogba's awkward exchange at training. Mourinho replaced Louis van Gaal as Manchester United manager in 2016 and has won the EFL Cup and Europa League. United now travel to Chelsea in the Premier League on October 20, live on Sky Sports, before playing Juventus in the Champions League twice and the derby against Manchester City.